Want to make our own piece of leather gear that you can wear at boot co nights or when ever o you desire? then this workshop is the one you been waiting for! 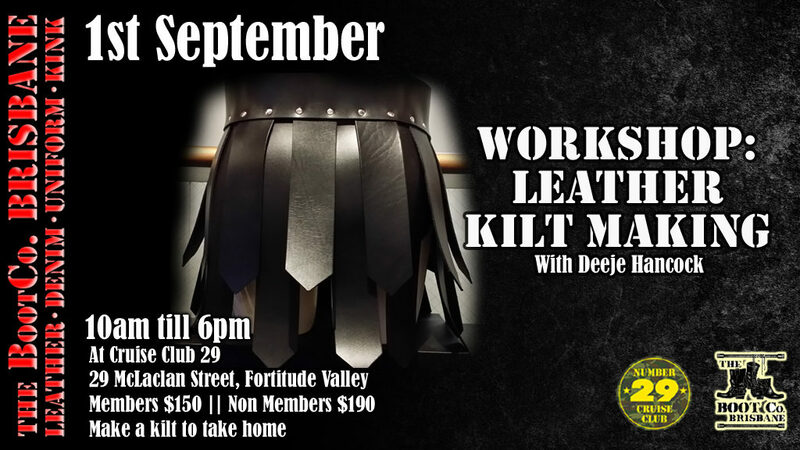 In this workshop you will make a kilt similar to that in the picture and you get to take it home and keep it. These kilts normally retail from $300+ and tickets for this workshop sell out fast so grab them while you can! Deeje is a long time leather worker and he loves passing on his knowledge to anyone who is wanting to learn and have any questions. Very limited tickets available once sold out no more available.